This was a two-passenger coupe with twin white leather bucket seats. 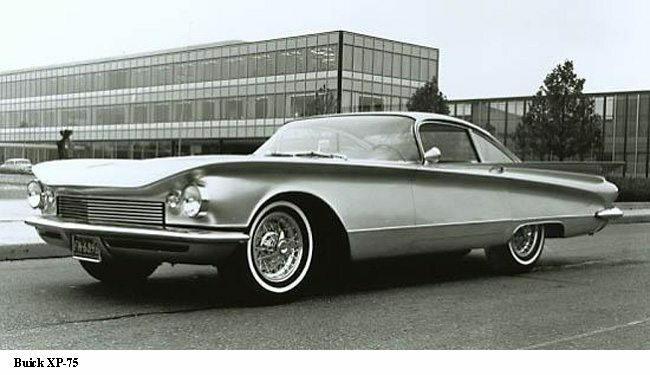 It was hand-built by Pininfarina in Turin, Italy. Its wing-like rear fins became a 1959 Buick styling feature and its sculptured metal side treatment a hallmark of the 1960 Buick line. Features included power windows, air conditioning, paddle-type door releases, floor-mounted transmission lever, vertically indicating radio and specially designed steering wheel. The engine was a 348-cubic-inch V-8. This car, featured in GM’s Golden Milestone Parade in 1958, no longer exists.